Why Create an Xbox Live account for a different region? Xbox Live account’s for a different region can offer various benefits. Most people want an account in a different region to gain access to an alternate marketplace which offers content not available in the region the person is currently in, for example you could be in the United Kingdom and wish to access to exclusive content on the Japanese marketplace. This content might be DLC or simply to gain access to special offers such as free games been offered to Xbox Live members in different regions. 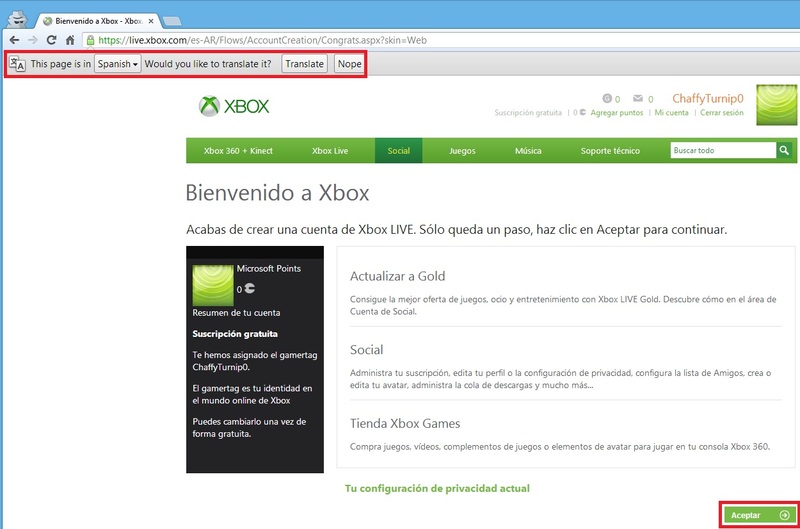 How to create an Xbox Live account for a different region, e.g. the USA, Japan or UK? To do this go to https://signup.live.com/ and complete the Microsoft account sign-up. Not the part in the screenshot highlighted in red, click “or get a new email address” if you do not have another email address to use. 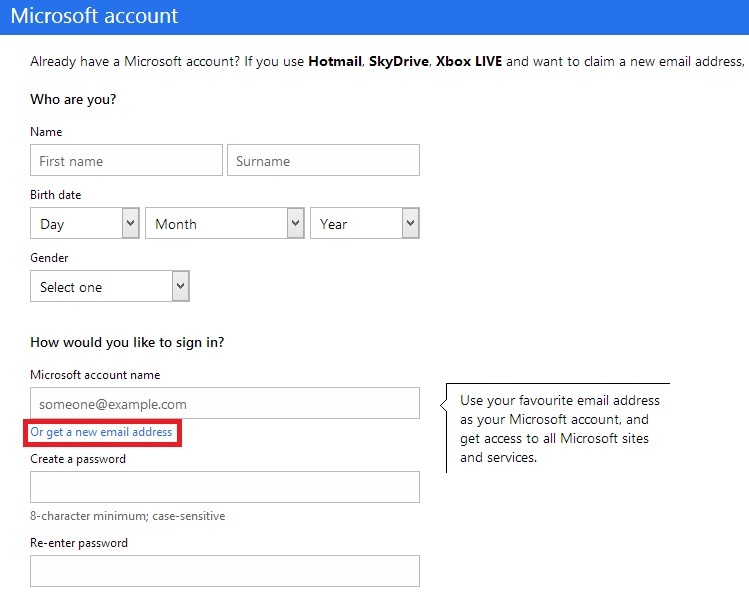 After the Microsoft account has been created, go to http://xbox.com, if you are signed in to the Microsoft account you will be asked to signup for Xbox Live. If not click the join now button in the top right of the screen. 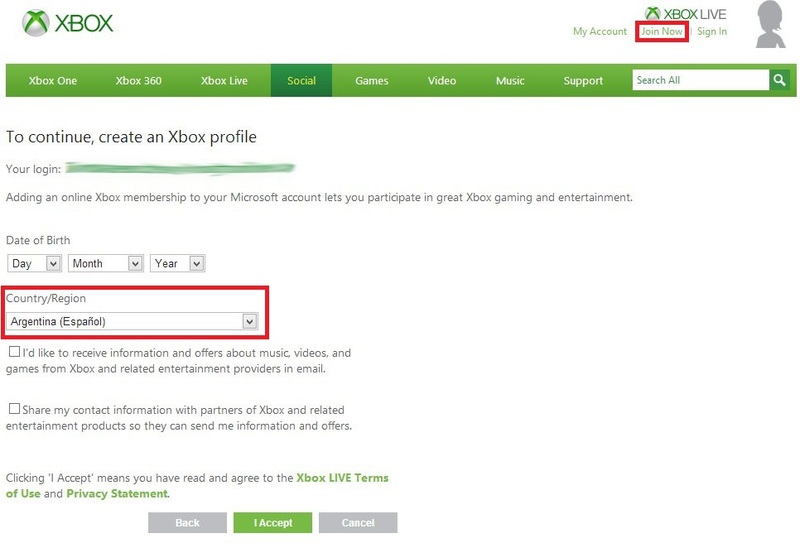 You should then see the Xbox Live signup process as show in the screenshot below. Note where it says country / region, this is the region you wish to create an Xbox Live account for. So for example selecting Japan would create you a Japanese Xbox Live Account, United States would give you an American account, and so on. In this example i used Argentina as i wanted to download a game which was currently free on the Argentinian Xbox Marketplace. 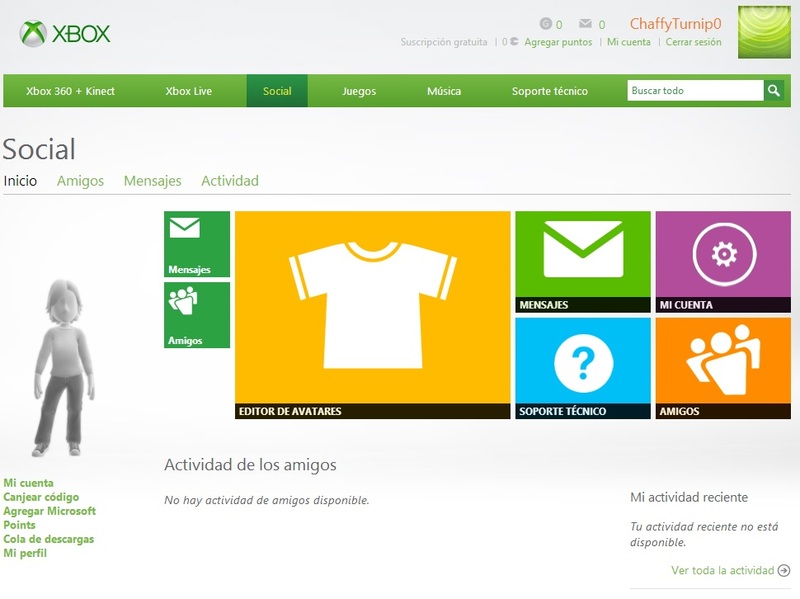 Selecting the region of the new Xbox Live account that will be created. After you have provided all the information asked for, click next. You will need to click the accept button in the bottom right of the screen. Using Google Chrome as your web browser can be of help here, as you can see in the screenshot below Chrome will ask if you wish to translate the website on the fly. If you dont speak the language of the region your signing up for this can be a great help. You will need to click accept, which is in the bottom right of the screen. Using Google Chrome to translate can be a great help. After you do so you have now created an Xbox Xbox Live for a different region. 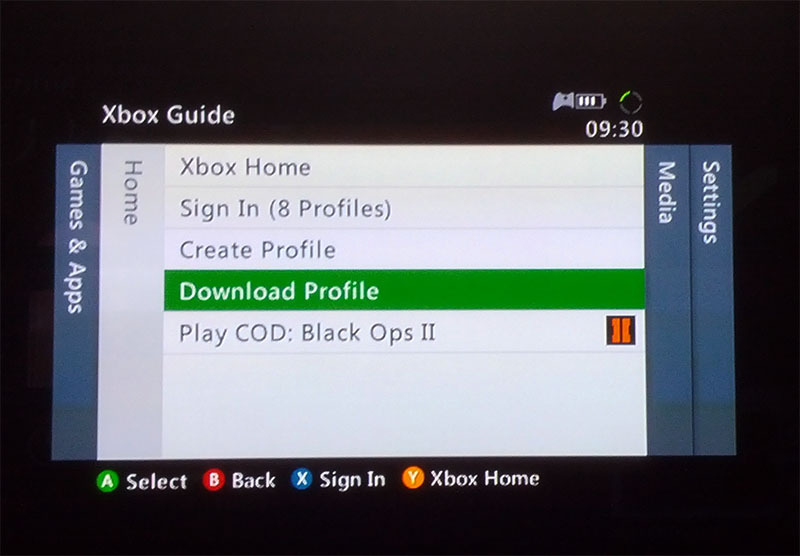 You can now simply download the profile to your Xbox, if a profile is signed in sign it out then simply press the guide button on the Xbox Controller and select download profile. I personally then rename the new profile to something to do with the region its from e.g. MattJPN if i had created a Japanese account, just to remind me why i have that profile and what region its for. I hope that helps with creating an Xbox Live account for use in a different region. Matt Hill is in his mid 20′s and has a passion for technology. Matt studied Computer and Network Administration at University and currently works as an IT Administrator for a company based in his home town.